airint.com | Are you ready to open your online business? "I was very pleased with the communication skills and customer service exhibited by airint and would recommend this company to anyone looking to build a website with professional precision and flexibility." "Airint was a breeze to work with. They made developing my website as painless as possible... with passion and care." Is it optimized for mobile? "Airint was extremely helpful, friendly and quick in getting my website up and running from start to finish. I recommend them to anyone wanting to get their business up on the web in a fast and professional manner." "I was pleased to find Airint wed design when it came time to build my new site. The personal touch, responsiveness to my needs, expertise, and follow through were simply amazing. I would recommend Airint to anyone considering a new web site." Are you ready to open your online business? 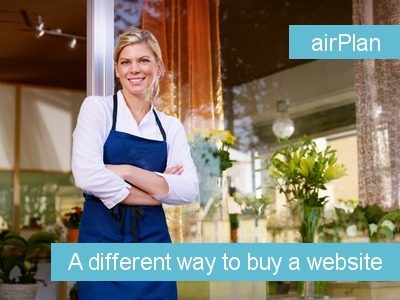 At airint.com, we love to get small businesses like yours online quickly and easily. We know what it's like to run a small business because we run one ourselves. Because money is always the object when running a small business, we offer a full range of services at very affordable prices. See how we can help you get your existing business online or help you transform your great idea into an online business today! Web services for small businesses with BIG ideas. Let us build you something beautiful and functional, because web design is not rocket science, it's an art! We know what it's like to run a small business. We run one ourselves. All our websites are optimized to run on mobile platforms such as iPhones, iPads and Android devices. All of our plans include training to help you manage your website without the need to call us every time you need to make a change. These days a website is not enough. See how we can help you reach your social media goals. Need to sell goods or services online? We offer a wide range of e-Commerce options.